I have a good feeling about him. It’s been only two days since the summer transfer window officially got underway, and it would be fair to say that AC Milan are already on fire. Compare them to any other club in Italy or Europe itself, and you realize that the impact that the rossoneri have had has been rather well-documented. Having already made five signings, Vincenzo Montella’s men would be delighted to have someone like Hakan Calhanoglu as their sixth capture of the summer, with Atalanta full-back Andrea Conti being touted to follow the Bayer Leverkusen man to San Siro soon. The 23-year-old Turk has long been linked with a host of top European clubs over the past few seasons and a move to a club bigger than the Die Werkself was much needed. The former Hamburg man’s penchant to make something out of nothing from free-kicks and dead-ball situations is known to many. In fact, Calhanoglu has scored more free-kick goals than anyone else in Europe since the 2013-14 campaign, finding the back of the net one more time than the great Lionel Messi. And while one can’t doubt and undermine Calhanoglu’s mercurial free-kick abilities, the soon to be Rossoneri is much more than that. Calhanoglu joined Leverkusen in controversial circumstances back in 2014, when he opted to take a medical leave from playing for Hamburg when he wasn’t actually sick or ill. He later clarified that it was due to aggression from fans and vandalism of his car that he had opted against playing. Before sealing a move that costed the BayArena based club around €14.5 million, Calhanoglu accused Hamburg director of betrayal. It was at Leverkusen that the Turkish star rose to prominence and attracted the interest of a host of big clubs across Europe. His impeccable free-kick abilities gained more attention and under Roger Schmidt, the club earned a knack for being a regular top-four Bundesliga club and Calhanoglu was one of those who was at the centre of the progress that was made at the club. Schmidt’s gegenpressing system saw Calhanoglu fit in very and act as a chief creator along with current Tottenham superstar Heung min Son. The 2014-15 campaign saw the Turk score eight times and assist six times for Die Werkself and the club finished fourth behind Borussia Monchengladbach. 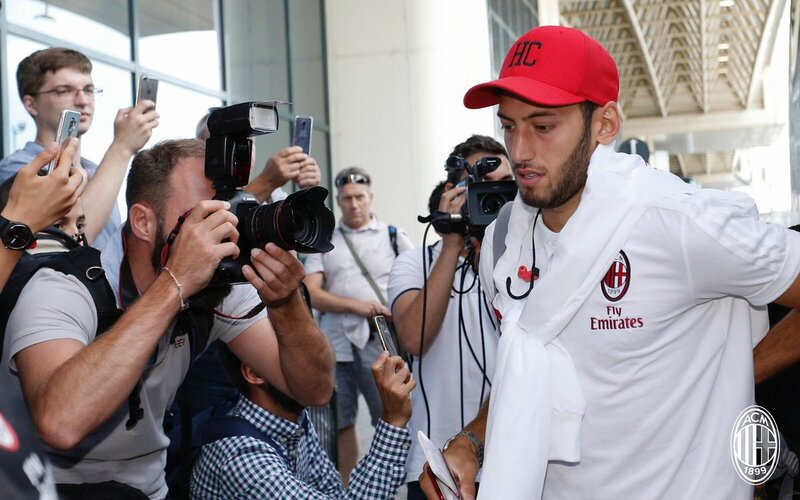 The next season saw Calhanoglu grab a tally of three assists and five goals as he became a more complete and hardworking player after Son’s exit to White Hart Lane. Leverkusen finished third that campaign, behind the duo of Borussia Dortmund and Bayern Munich. It’s this season though, that proves that the former Hamburg has the ability to shine when others aren’t. With Leverkusen languishing in the bottom half of the table, Schmidt was axed from his post as the boss but the appointment of Tayfun Korkut didn’t derail Calhanoglu’s progress in any way. 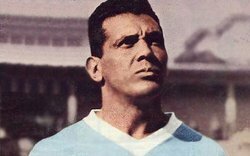 He emerged as the club’s second highest goalscorer and the third highest assister, despite the club finishing as low as 12th in the league. Over the years, the changes that have come about in his play have allowed him to play more often as a central midfield player. Under Schmidt, his overall development made him a more complete player than ever. He doesn’t have as much pace as his former teammate Son, but his technical adeptness and control is something that makes him a deadly player in front of goal. He makes up for his lack of pace by picking up pockets of spaces in the heart of the park to create things for the team. He’s blessed with a wonderful pair of feet that allows him to make crowded spaces look like open spaces in the park. Those are the same pair of feet that allow him to threaten the opposition with the club of his creativity and vision that allows him to produce something out of nothing in a blink of an eye. And as things stand, Milan lack the presence of players who can do just that. They may have strong, well built players who can win the ball back in the heart of the park or carry the ball forward with pace, but there’s hardly the presence of a player who creates things. Suso is someone who does that job, but he’s more of that direct winger who likes to cut in from wide and take defenders on and beat them. Calhanoglu though, will change the outlook of Montella’s team completely. With Giacomo Bonaventura expected to be back for the next season, it could be a case of the Italian and Calhanoglu rotating with one playing on the left side of the midfield three and the other playing on the left flank of the forward three. The fact that Bonaventura has more pace up his sleeve will make him more of a natural fit for the left-flank, but Calhanoglu’s creativity and tendency to drift in on and off the ball from the left will force Andre Silva into licking his lips at the prospect of playing up top for his new club. Hakan Calhanoglu, just arrived from Bayer Leverkusen, is the most liked among the seven signings so far. Fans have fallen in love with the 23 year old free kick maestro. That the rossoneri fans were exalted for Bayer Leverkusen’s attacking midfielder, Hakan Calhanoglu, arrival was already clear last week when the first rumors of an interest in the Turkish 23 year old started circulating. The good feeling was obvious in the first hours of his arrival in Italy and while he was signing the contract with AC Milan. The red and blacks supporters have literally gone crazy, waiting for the former Bayer Leverkusen player exit and acclaiming with an enthusiasm that was missing for a ling time in this parts. In yesterday’s first pre-season training under the guidance of manager Montella, fans continued to cheer his name. Of the seven purchases made so far by Marco Fassone and Massimiliano Mirabelli, the 23 year old attacking midfielder was surely the most heard by the fans, even more than the signing of Andre Silva from Porto for 38 million euros. The reason is easy to understand. Milan fans have been waiting for years for a prominent and crystal clear player for the offensive department, orphaned by a real number 10 ever since. We know well how much the rossoneri crowd likes this type of footballer, of whom the 23 year old is certainly part of. For many years, the old management led by Silvio Berlusconi and Adriano Galliani had deeply underestimated this aspect, limiting itself only to buying attackers with the (few) resources available. Hakan Calhanoglu has been signed for 25 million euros (bonuses included), a hefty amount but not too much for today’s transfer market. A fee that can’t be valued as too much even for old Milan. Yet in all these years no pure fantasista has passed through the gates of Milanello with an obvious progressive technical depletion. Marco Fassone and Massimiliano Mirabelli managed to fill this gap with a player who can really make the difference, in the short and in the medium and long term. Calhanoglu, whose primary position is attacking midfielder can also play on the left and in the center of the midfield. In the recent months he was suspended by TAS. The ban relates to a dispute between Calhanoglu and the Turkish club of Trabzonspor which occurred in 2011 while he was playing for Karlsruher. At the time the 23 year old reached an agreement with Trabzonspor regarding a transfer to the club, before then extending his contract at Karlsruhe and later signing for Hamburg. During this time he has been training with a personal trainer and is now ready to return on the pitch. You guys are crazy. He will be great for us, our new Rui Costa. wait he's not in FIFA 17? because of the 4 months ban? how many free kicks does he need take to score more than Rui Costa? 25? Rui Costa is a football god. Last edited by Ronin; 10-07-2017 at 16:40. I hope he can be our Pjanic. I would rather play him at midfield than on the wing as he is to slow to be a proper winger. Bonaventura is both quicker and more skillful which makes him a better suited for the role. Kessie to be a high energy box-to-box CM, Hakan a more offensive CM and we need a proper regista like Biglia. Didnt notice, its ok now. Rui Costa might be one of the most overrated Milan players ever. Excited to see what this guy brings to a midfield that has been garbage for at least 5 years.